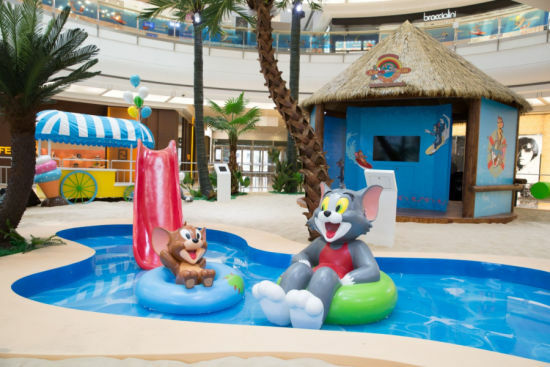 Traditional shopping malls are facing challenges from online retailers and some have come up with ways to compete. 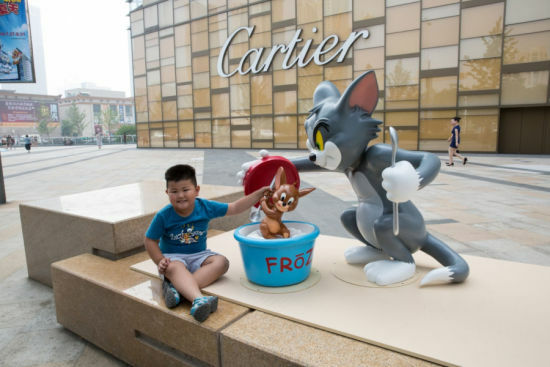 One in Shenyang, Northeast China's Liaoning province has called upon veteran cartoon characters Tom and Jerry to help increase its attractiveness to families with young children. They will be there until August 31. Let's take a look. 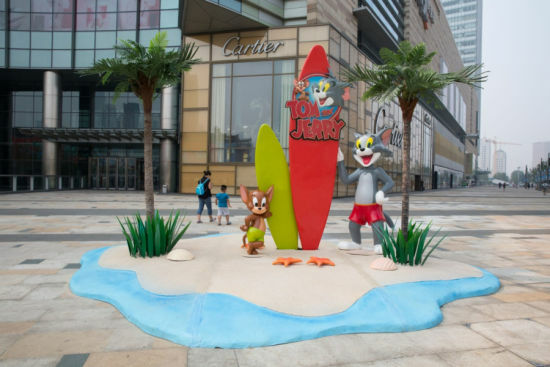 Tom and Jerry are seen in front of the shopping mall in Shenyang, Northeast China's Liaoning province, July 27, 2014. Tom is in for a surprise as Jerry takes aim with a mallet, July 27, 2014. 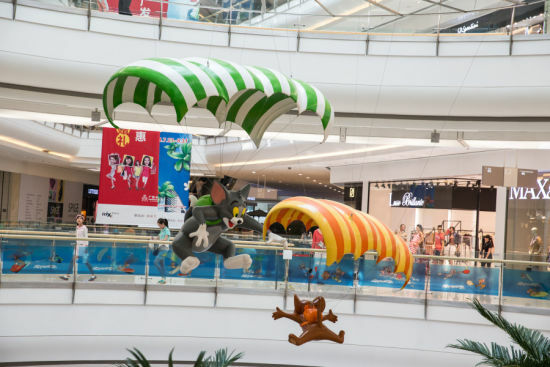 The cartoon characters, who first appeared in 1940, parachute into the mall, July 27, 2014. 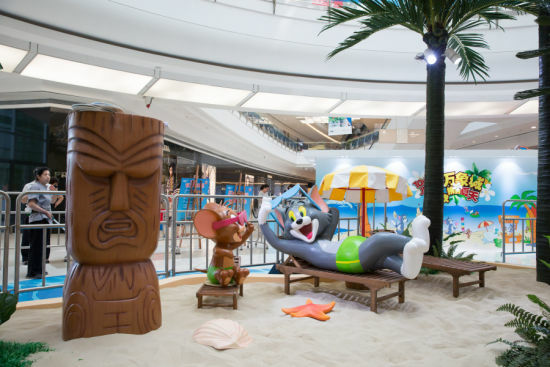 Tom and Jerry take it easy after their regular cat and mouse chase, July 27, 2014. A beach setting gives the adversaries a chance to wind down before their rivalry resumes, July 27, 2014. 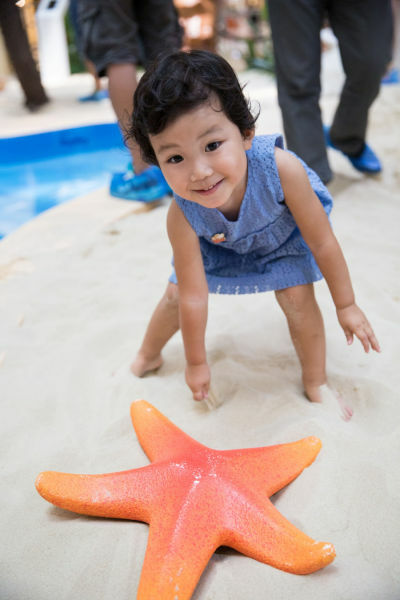 A little girl plays with sand on a beach, with Tom and Jerry not too far away, July 27, 2014. 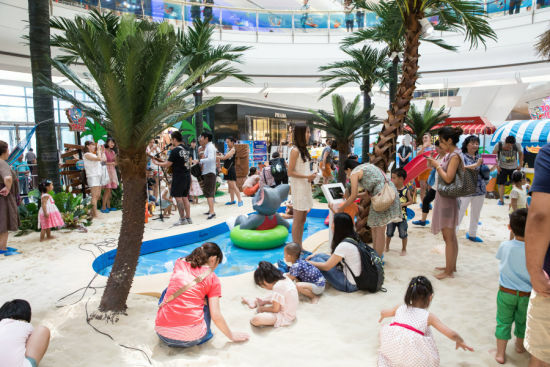 Parents and children join the cartoon characters at an indoor beach, July 27, 2014. 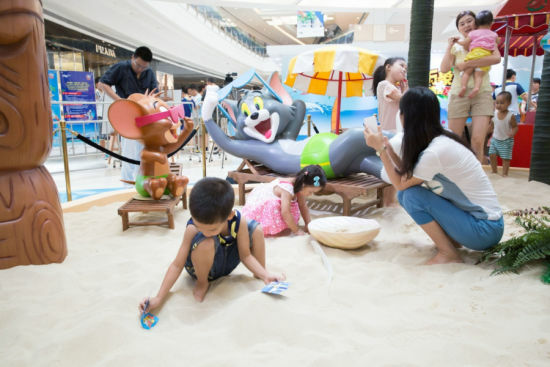 Tom and Jerry attract families in Shenyang, July 27, 2014. A boy holds Jerry's spoon as Tom prepares to slam the lid on an ice cream tub, July 27, 2014.